Get ready to learn from your favourite Toronto denture clinic and Denturists about teeth-in-a-day and the four steps to a gorgeous smile. Studies show that the very first thing that 47% people notice is the smile when they meet someone. It means, your smile engraves a long-lasting impression on nearly everyone you meet. If it is so, shouldn’t your smile be perfect? If you have faced tooth loss due to any of the above factors then you must get them replaced as soon as possible. A missing tooth not only lessens your self-confidence but may cause several health implications in future. Your adjacent teeth might shift towards the gap and they may become crooked. Even worse, they are more likely to break or fracture. It may lead to gum disease like Gingivitis. It may also affect your jaw movement and you may face trouble while eating. Hence, it is necessary to visit a dentist at the earliest to avoid these complications. Schedule an appointment with the experts now and beautify your smile all over again!! Wondering How to Get a Gorgeous Smile in a Day? With advancements in technology, a wide range of options are available than ever to replace your teeth without any hassle or discomfort. 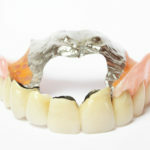 Some of the solutions include the ever famous teeth- in-a-day, complete dentures, partial dentures and flexible dentures. No matter what your budget or requirements are, we have a solution ready for you. Out of all, the most trending option these days is the teeth-in-one-day. Yes, it’s true! As the name suggests, you walk out with natural looking teeth and can use them right away without any delay. It is a one-day procedure and you don’t need to wait for the tooth extractions to heal. You need to go through a thorough dental examination to ensure that you are eligible to get teeth-in-a-day procedure or not. After evaluating, you need to get the CAT scans done and the 3D imaging will help your dentist get an accurate view of your mouth. At last, a personalised treatment plan is prepared and you can schedule your appointment to get it done. It’s a mere 3- 4 hour procedure. 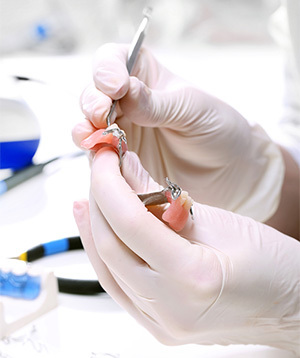 If the tooth is damaged beyond repair and cannot be restored. For instance, if the fracture is below the gumline or advanced decay, then your oral surgeon might have to extract your tooth. If you have less bone density then bone grafting can be performed. A local anesthesia, if needed, is used to numb the area so that you don’t feel any pain before proceeding for tooth extraction. After the tooth extraction, a titanium implant post is inserted in the empty socket after which a small metal abutment is added which holds the crown. These implants are then left to heal so that they can integrate with the surrounding bone. The healing process normally takes 1-3 months. 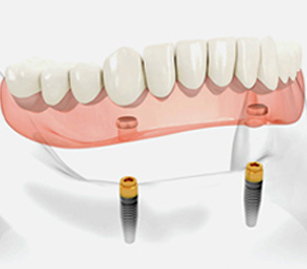 Until your implant heals, it is covered with a temporary crown which is smaller than the permanent version. No one can decipher the size, and you can walk out with your signature beautiful smile. As the months long healing process concludes, your temporary crown will be replaced with a permanent crown. This permanent crown is customised to replicate the size, shape and color of your natural teeth so that no one notice any difference. Once you’re done with the dental procedure, you need to take a few post-operative precautions to avoid any further complications. Who Can Opt for Teeth-in-a-Day? 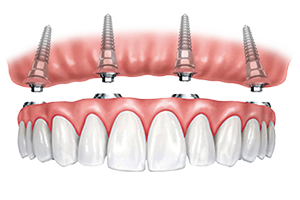 If you are missing a single tooth, then a traditional dental implant might be a better option as it is less expensive. Although, if you are considering to replace a full arch of teeth then it is the ideal solution for you. Age: While age isn’t a unswerving factor to determine whether you are a candidate or not, certain age related health conditions may impact your candidacy for the procedure. 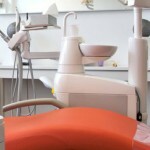 Hence, your oral surgeon will review your medical history in order to ensure if you are able to endure the procedure. Overall physical health: Apart from gum disease and oral health issues, one must not have serious health issues mainly autoimmune disease, diabetes and osteoporosis. If you have any of these health issues, you may be ruled out. Smoking: While it may not rule out your candidacy for the procedure, it can certainly affect the success of the procedure. Before you decide to opt for this, you may want to quit smoking to ensure optimum results. Bone density in your jaw: Your jaw bone density is a determining factor for any dental implants whether it is traditional or teeth-in-a-day. However, comparatively less jaw bone density is required for the latter. 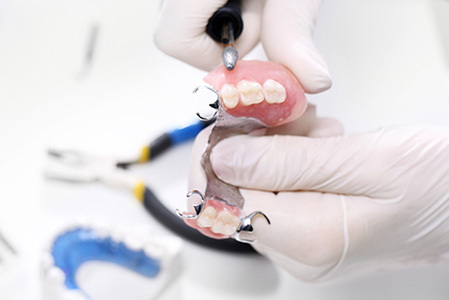 So, even if you cannot undergo traditional implants, you can choose teeth-in-a-day. In some cases with low bone density, a bone grafting procedure is performed beforehand. To book an appointment with an experienced and most sought after oral surgeon in Toronto, get in touch for consultation and walk away with a enchanting smile!